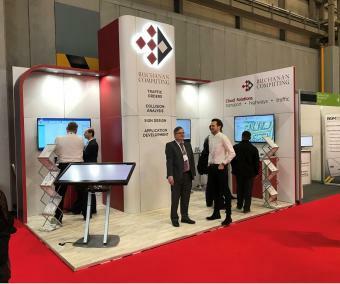 We've had an exciting time on our stand at Traffex 19, meeting many new people and greeting lots of old friends. We’re a bit exhausted, but nevertheless invigorated by our time at the NEC this week. It was lovely to have met so many people in such a short time, including some we have known for over 30 years. There was particular interest in our new dashboard for giving an interactive overview of any authority’s road casualty data, but ParkMap 7, the imminent AccsMap 6 and SignPlot 3.5 were also in great demand for demonstrations. Simon’s seminar on the new Traffic Signs Manual was well attended, with standing room only. For a fuller and more leisurely coverage of this subject and what traffic authorities might wish to do differently, he is running a full day course on 30 April (nearly full), with further dates to be announced.